Security issues you have to consider about lock repairs and locksmith services. Read more below. You should start thinking about ways to reinforce the security of the gates and garage doors because they are highly exposed. Install the best security door locks or electronic keypads at all entrances even secondary doors including the door leading to the garage and the basement door. Secure all the windows and get good cabinets locks to protect your children in the house. When you choose a new door, make sure it's made of solid steel or wood. Hollow doors will be kicked down easily. Choose security door locks that extend one inch into the plate and make sure the locks are not reachable by a nearby window. Very cold winters can lead to car lockout problems as the vehicle lock’s internal components freeze. Using a De-Icer can address this problem. However, if you don’t have a De-Icer, you can pour in some alcohol into the lock. You can also try heating your key with a lighter before inserting it into the lock. If you don’t have alcohol or a lighter, you can try warming the lock by breathing some warm air into it. The industry is moving towards automation and therefore our professionals recommend making the right adjustments in time. That might require some minor upgrades on the existing lock system. 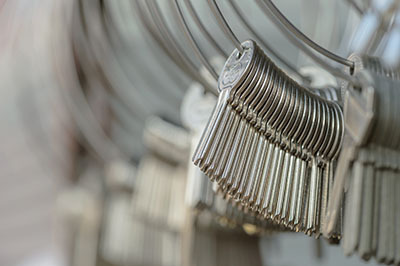 This type of key is convenient and also its enhanced security features are also a source of reassurance for customers. This is the easiest way for it to slip inside your trunk when you lean over to take your groceries or luggage out. More often than not, this small accident goes unnoticed. As a result, you'll simply close the trunk and end up in a lockout situation. If your jacket pocket can be closed, with a zipper or a button, make sure that you do it. Alternatively, you can place your car key inside your bag.